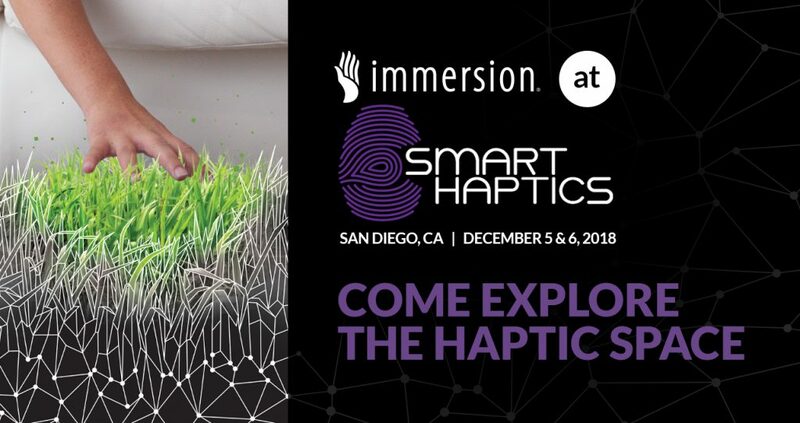 San Diego, Calif. – Join Immersion at Smart Haptics 2018, the gathering of multiple industries to explore the future of haptics technology. Smart Haptics 2018 features presentations from industry leaders, including Immersion’s executives to explores haptics current capabilities, needs, and new innovations. Learn more about haptics in automotive, medical, wearables, IoT, and content.